This short article is our invitation to you to join us as members of God’s Church in this place. Why might I consider becoming a member? We consider membership to be an awesome privilege. Membership of the local church reminds us that we are called by Jesus to be members of the Church universal. We believe we are called by God to be the people of God in this place. We are given the fellowship of believers as a gift of God to nurture one another’s faith, to support one another in Christian love, and to seek to carry out God’s mission in this community and beyond so that all may know the love of our Lord. Members of the Wakatipu Community Presbyterian Church have entered into a public partnership with one another in which we proclaim our faith and commitment to follow Jesus in and from this place. What is expected of me if I become a member? We expect of each other that in our life, private and public, we will, with God’s help, seek to live lives that reflect the Profession of Faith that each member makes. Members are expected to be seeking Christian maturity; to be loyal to this Church, supportive of the leadership and ready to accept responsibility for the ministry of the Wakatipu Community Presbyterian Church by the free and willing offering of their prayers, presence, gifts and services. Do I have to become a member? No. Although we encourage membership it is not compulsory. Other options are available. See ‘Associate Membership’ or you simply may wish to attend and be involved with no formal form of membership. Who can become a member? Anyone who is baptised and is able to declare their faith, and who is in agreement with the priorities, principles, and mission of this Church. How do I become a member? 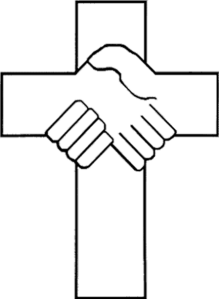 It is the responsibility of the Church Council to admit people to membership. Therefore the first step is to approach an elder or one of the Ministry team. Depending on your previous circumstances one or both of the following will need to happen. Membership is based upon ‘Baptism’. If not baptised you will need to be baptised before becoming a member. In recognition that there is but One Church in Jesus Christ, and one Baptism we recognise the baptism of other Christian Churches, whether as an infant or later in life. Profession of Faith. The following will be asked of you (Alternately the following may be stated in the form of a personal statement) . Do you declare your faith in God – Father, Son, and Holy Spirit; and affirm your trust in Jesus as your Lord and Saviour. In addition, it is important that those seeking membership can affirm their commitment to the local congregation. Will you be a faithful member of this congregation: at all times concerned to protect the unity of this church by acting in love toward others, and by offering your support to the leadership. Will you also share the responsibility for the ministry of the Wakatipu Community Presbyterian Church; by attending faithfully, praying frequently, and by the free and willing offering of your resources, time, and energy as God directs and enables. Reply: With God’s help I will. What is Associate membership? This is an option that may suit you if you are seeking to identify with and support the ministry of this Church but are not ready or able to fulfil the other requirements of membership. Associates take full part in the life of the church, including voting rights, but are unable to be ordained to eldership or become a Minister of the Church. Membership is our invitation to walk in partnership as we seek to serve God in this community and beyond. While the Bible does not specifically mention membership we believe that God calls us to commit one to another to enable mission and Christian maturity. Paul exhorts the believers to “… serve one another in love’, in accordance to their gifts and their faith. Many other passages support this same theme. Christians are told to: love one another; instruct one another; carry each other’s burdens; teach one another; admonish one another; encourage each other; spur one another on toward love and good deeds; pray for each other; offer hospitality to one another; and each should use whatever gift they have received to serve others. We invite you to enter membership as a formal recognition of belonging and as your commitment to partnership here with the people of the Wakatipu Community Presbyterian Church as together we seek to follow Jesus in service to God’s people. More information about membership can be found in the Book of Order of the Presbyterian Church of Aotearoa New Zealand, section 4.